Walden Pond Press, 9780062338204, 384pp. 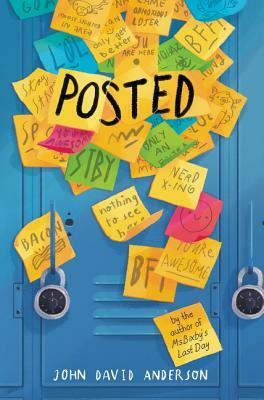 With multiple starred reviews, don't miss this humorous, poignant, and original contemporary story about bullying, broken friendships, social media, and the failures of communication between kids. From John David Anderson, author of the acclaimed Ms. Bixby’s Last Day. John David Anderson is the author of some of the most beloved and highly acclaimed books for kids in recent memory, including the New York Times Notable Book Ms. Bixbys Last Day, Posted, Granted, Sidekicked, The Dungeoneers, and Finding Orion. A dedicated root beer connoisseur and chocolate fiend, he lives with his wonderful wife and two frawesome kids in Indianapolis, Indiana. Hes never eaten seven scoops of ice cream in a single sitting, but he thinks it sounds like a terrific idea. You can visit him online at www.johndavidanderson.org.